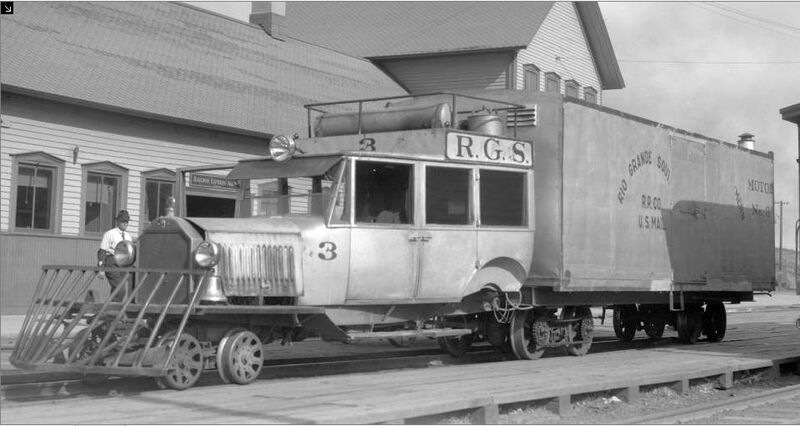 December, 2 1931 was the day RGS chief mechanic Jack Odenbaugh hatched the newest and largest Motor thus far, she was nearly twice as long as #2. She was the first motor to be built with a Pierce Arrow body. 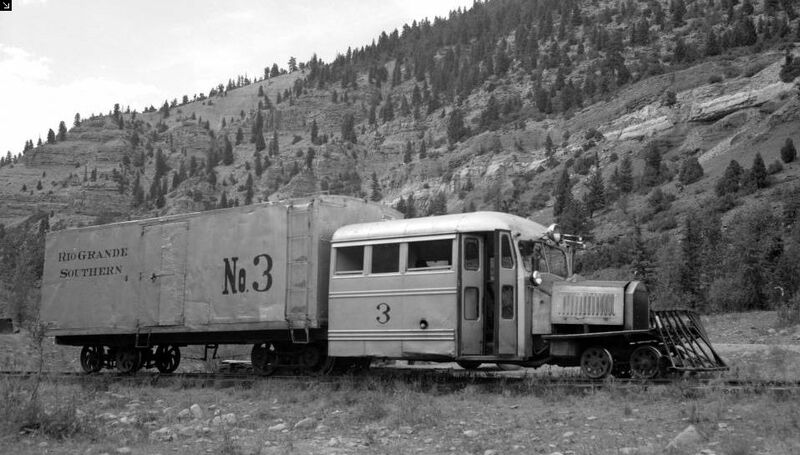 Jack built a 24 foot long freight box for larger freight and mail capacity, she rode on three trucks, weighed 14800lbs was 43'-3" and cost $2,586. #3 set the pattern for numbers 4,5, and 7 to be built on later. Today she continues the tradition of saving money, she delights guests, while confusing others, and still provides a fun wobbly ride justifying her Galloping Goose moniker. She has come along way in the last 80 years, and I hope she is around for at least another 80. On this day she gets to nest for the rest of the year. 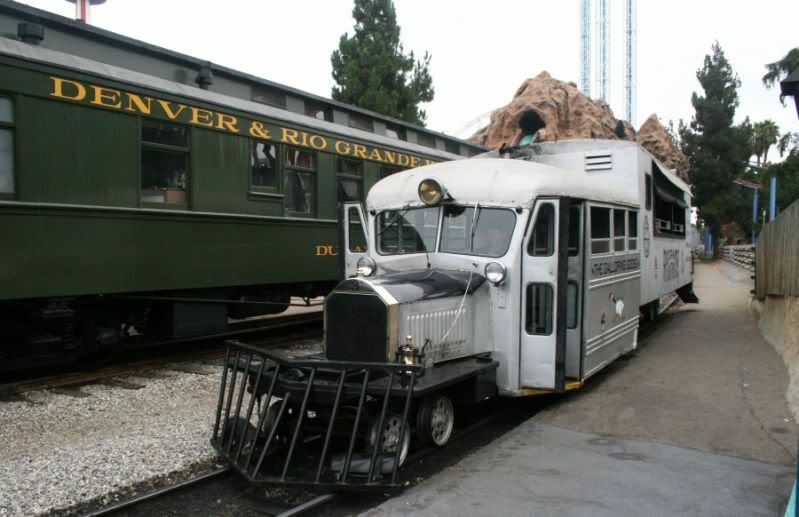 She will be back in January, to once again trundle down the rails at Knott's Berry Farm. To say Happy birthday to goose #3 lets take a look back at her life. 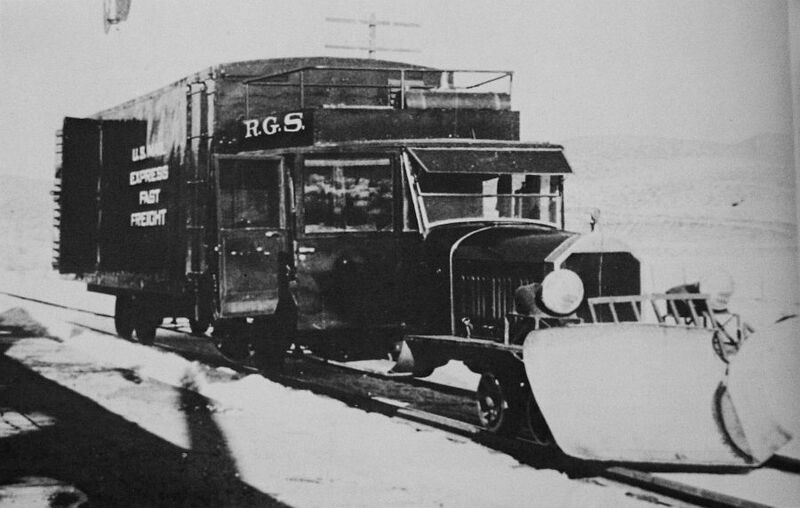 Shortly after completion in 1931 or 32, in her first paint scheme, black with white lettering. Note the frog eye headlight cut from the Pierce Arrow fenders. 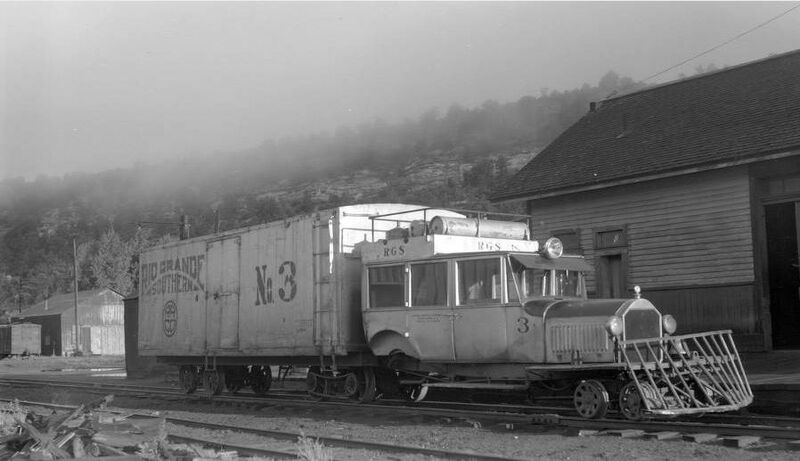 Here she is in Durango in 1939. This is after the new aluminum paint was applied. Note the freight door is now centered, and that they just moved the metal side panel's over. It reads RIO GRAND SOUT____HERN. Here she is on a cold frost day in Dolores, in 1945. Still in aluminum paint , but with the new "Sunrise" herald. The military surplus Wayne Bus body replaced the car body in 1946. 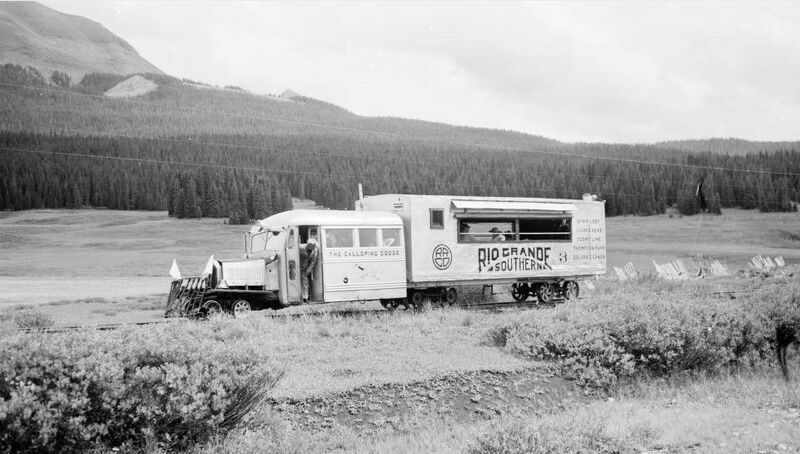 At this point the RGS also replaced the Pierce Arrow engine with a GMC 361.This is at the Telluride transfer point on September, 15 1948. RObert Richardson DPL. Here she is at Lizard Head, on August,4 1951, on one of the RGS's few tourist trips. This would be her last scheme on the RGS. By the next year she will be used to cut up the Telluride branch. 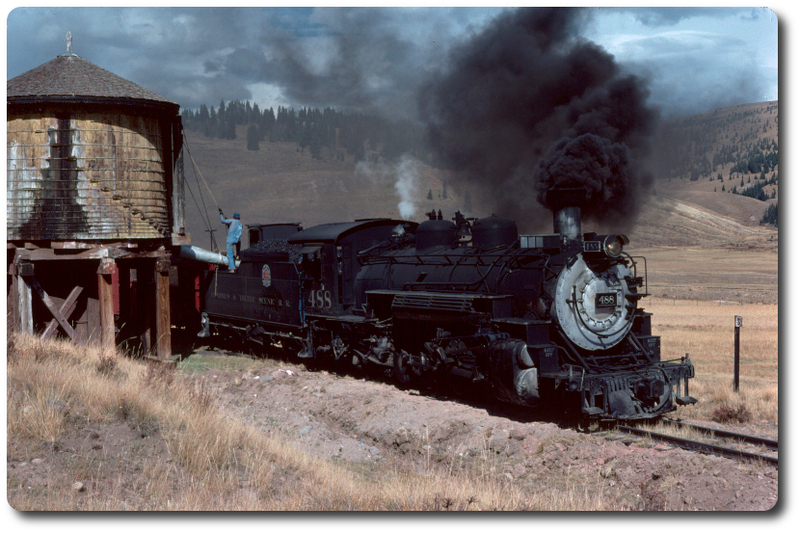 Here she is near Telluride in September of 1952 in use of the scrapers. The express box was removed, as well as part of the bus body. The express box was placed intact on blocks in front of the roundhouse in Ridgway. This final shot is of #3 at her home for the past 59 years. Happily roaming around our track. Edited 3 time(s). Last edit at 12/02/2011 12:36PM by Jeff Taylor. Re: Happy 80th Goose #3.